TOKYO -- Isuzu Motors Ltd. surged the most in four weeks in Tokyo after a report that Volkswagen AG is considering whether to take a stake in Japan's largest maker of light trucks. Volkswagen is considering taking a stake or purchasing Isuzu outright, Germany's Manager Magazin reported on Wednesday, without citing anyone. Board member Jochem Heizmann held talks with Isuzu and visited production sites, the magazine said. A VW spokesman said the automaker won't make a decision soon on whether to take a stake and declined to comment on other details. Isuzu shares rose as much as 9.6 percent following the report on Wednesday, the most on an intraday basis since March 16. Volkswagen also discussed the possibility of MAN SE acquiring a holding in Isuzu, Manager Magazin said. German truckmaker MAN is 29.9 percent owned by VW, according to Bloomberg data. Stefan Straub, a spokesman for MAN, declined to comment on the report. Isuzu spokesman Eiji Mitsuhashi wasn't immediately available for comment. 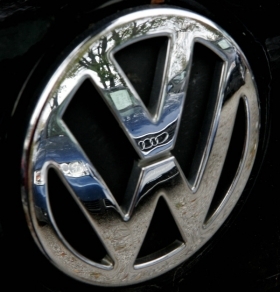 VW is aiming to complete a merger with Porsche SE after purchasing 49.9 percent of the company's carmaking unit. Volkswagen also paid $2.5 billion in January 2010 for a 19.9 percent stake in Suzuki Motor Corp. to jointly develop vehicles for emerging markets as it seeks to topple Toyota Motor Corp. as the global leader by 2018. Toyota has a 5.9 percent stake in Isuzu, whose share price more than doubled in 2010, making it the best performer in the Nikkei 225 Stock Average, according to Bloomberg data. Mitsubishi Corp. is the largest Isuzu shareholder with a 9.2 percent stake. Ferdinand Piech, supervisory board chairman of Volkswagen and MAN, has said he wants to bolster VW with additional brands and mentioned Fiat Industrial SpA's Alfa Romeo unit as a possible target to add to marques that include Audi, Lamborghini and Bentley. Porsche will become Volkswagen's 10th brand. Talks between MAN and Swedish rival Scania AB on ways to cooperate and possibly combine are being held up by bribery investigations at Munich-based MAN, Piech said on Feb. 28. Volkswagen Chief Financial Officer Hans Dieter Poetsch said at the Geneva auto show in March that VW's priority was the merger with Porsche and completion of a related 5 billion-euro ($7.2 billion) stock sale.